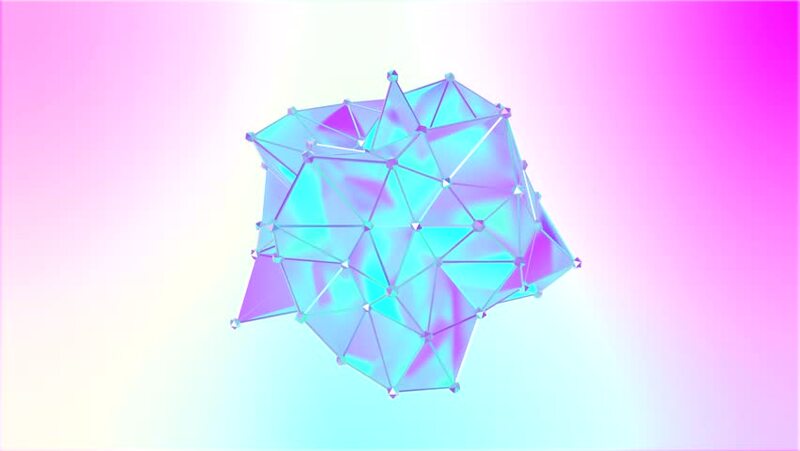 hd00:08Animation of a shape metamorphosis of a polygonal semi transparent model. Multicolor seamless loop motion of a polygonal 3D blot. hd00:10Animation rotation of microbe, atoms, DNA spiral, virus in flat icon style on colorful background with circle with flying particles. Line art style. Animation of seamless loop.